At the ETTU Extraordinary Congress held yesterday in Suzhou during the QOROS World Championships ETTU Vice Presidents Heike AHLERT and Sonja GREFBERG presented the proposals for the 2017 European Championships Team Qualifications, European Championships 2016, 2017 and U 21. The presentations came as an outcome of the one year study made by Committee of experts: Richard SCRUTON, Heike AHLERT, Sonja GREFBERG, Mikael ANDERSON, Oivind ERIKSEN, Roman PLESE and Dirk SCHIMMELPFENNIG. President Ronald KRAMER and Deputy President Ivo Goran MUNIVRANA also attended the meetings. “The EB encouraged the Associations to give their comments to the proposals with the different options. Within the next week ETTU will send a questionnaire to all member Associations. They will be taken into consideration by the EB when preparing the draft regulations for the next ordinary Congress in Yekaterinburg. Changes that need to enter into force in 2016 will be sent to our members for postal ballot in May,” stated AHLERT. The qualification format giving 30 Associations, according to final positions at EC 2015, the opportunity to qualify for the EC 2017 Championships Division. Host association will be automatically seeded in the Championships Division. Remaining Associations will have the opportunity to qualify for the EC 2017 Challenge Division with 1 place available. The right to play in the Championships Division will have top 29 teams from 2015 final team rankings, plus the winner of the Standard Division. Matches will start on January 2016 and has to be completed by June 2017. One of the options for the European Team Championships 2017 is to have the same event as we had in 2014 Lisbon with 5 days event – Men’s Teams and Women’s Teams, 16 teams in Championships Division, 16 teams in Challenge Division and all remaining teams in Standard Division. That will mean no promotion and relegation because we will have Team qualifications. According to Proposal the Competition Format at the first European Championships U21 will have a “lighter” look. The inaugural Championships will be a 3 days event – with Men’s singles, Women’s singles with 56 male and 56 female players according to the ETTU U21 ranking list (or 55 + 1 host). It will consist of a maximum of 3 male and 3 female players per Associations. Vice President for Finances Dorte DARFELT informed the Congress of the financial situation of ETTU and Deputy President Ivo Goran MUNIVRANA updated the Congress on ETTU’s Development Programm. 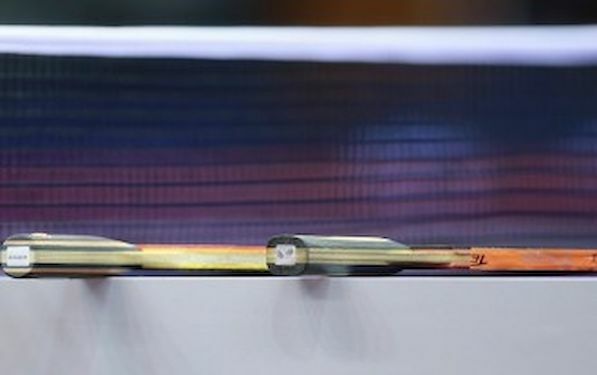 Regarding ‘Eligibility’ it was decided to await ITTF’s decision, before changes will be proposed. In closing President Ronald KRAMER concluded that ETTU is very much on the right track for the future and thanked the delegates for their constructive contributions which were all done in a well developing team spirit in ETTU. (including photocopying, recording or storing it in any medium by electronic means), without the written permission of ETTU.